Aboriginal people have lived in the Kakadu region for up to 50,000 years and no cultural tour of Kakadu is complete without a visit to the Warradjan Cultural Centre. Located about one kilometre from Cooinda Lodge this interactive centre provides detailed information and displays about Aboriginal culture in Kakadu. The unique circular design of the cultural centre represents a pig-nosed turtle or ‘Warradjan’ in local language. The centre's a great place to escape the heat of the day and immerse yourself in the worlds oldest living culture. See ancient artifacts and hear the stories of what life was like before Europeans sailed to Australia. 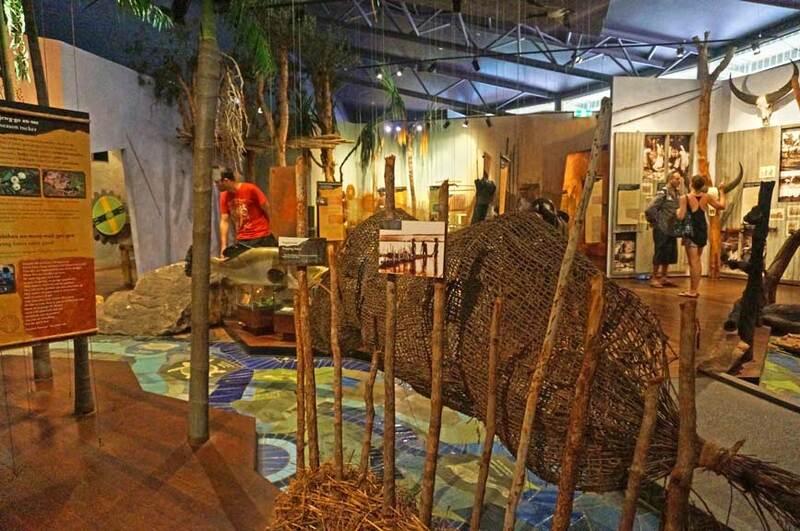 Warradjan Cultural Centre is perfect place to get a more in depth understanding of Aboriginal culture in general. We'd recommend visiting here first before exploring the rest of Kakadu as it will give you more perspective and meaing as you travel the Park. For example once you’ve learned about the people who left their marks on the rocks ledges thousands of years ago (how, when, why etc.) it becomes much more rewarding to see these paintings yourself. The Warradjan Cultural Centre's opening hours are between 9am and 5pm daily. You should anticipate an hour to properly appreciate the centre. The centre also boasts a delightful gift shop, allowing visitors to purchase a cultural memento to take home with them. If you'd like additional information about the Warradjan Cultural Centre or would like to join a Kakadu tour which visits this unique place then please email or call Venture North on (08) 89275500.